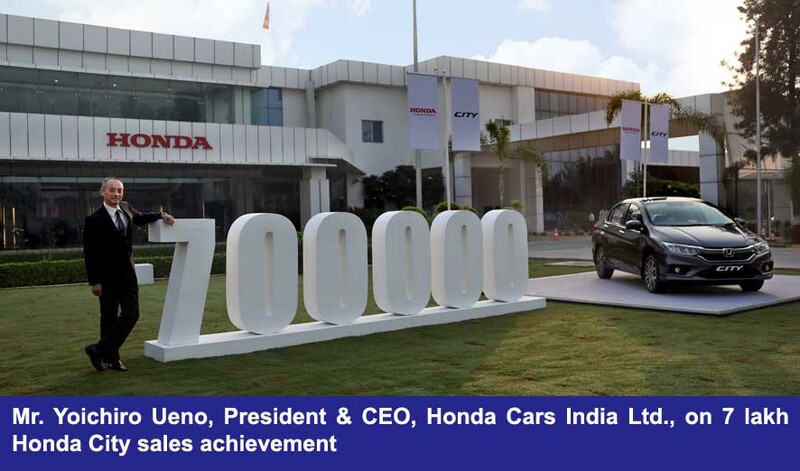 Honda Cars India Ltd., the leading manufacturer of passenger cars in India, has announced that its bestselling premium sedan Honda City has sold 7 lakh units since its first introduction in the country in 1998. The car, now in its fourth-generation version, enjoys a huge brand loyalty and a special place in the hearts of the customers. India being the largest and most important market for the Honda City, currently accounts for over 25% of the car’s worldwide sales. “India has always been a strong market for Honda City and currently accounts for 25% of its worldwide sales. It’s a complete package of sporty looks with advanced safety, superb driving performance, high fuel efficiency, best comfort and a rich equipment list. 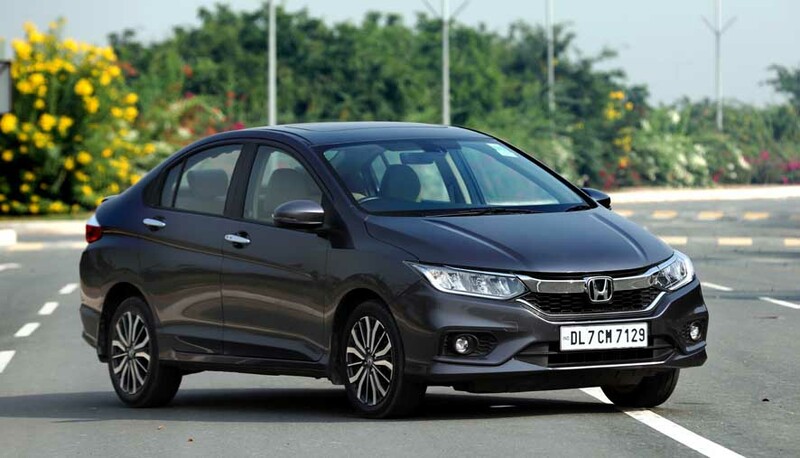 We hope the Honda City will retain its much-loved brand status in the years to come,” he added. Honda City is a highly successful sedan with presence in over 60 countries, registering cumulative sales of 3.6 Mn units. Currently in its 4th generation, the Honda City delights the customers with some of the best in class range of technology, design, exterior and interior features. Available in manual transmission (both petrol and diesel) and advanced CVT petrol, the Honda City adopts the best of Honda’s powertrains to achieve a perfect balance of performance and fuel economy. The City offers some of the best-in-class features such: Keyless entry, electric sunroof, steering mounted audio and bluetooth handsfree, advanced 17.7 cm touchscreen infotainment system called the digipad, reverse camera & parking sensors, cruise control, automatic air-conditioner, leather seats, 16 inch diamond alloy wheels and safety at its best with ABS (anti-lock braking system) with EBD, & airbags.